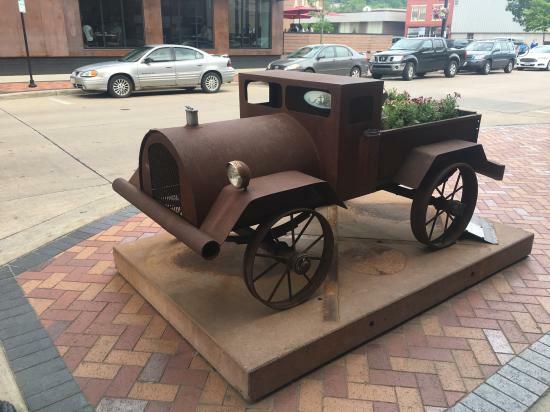 You may have noticed a lot of sculptures that popped up around town in May, especially in the Downtown Area. Have a favorite sculpture on the tour? You can help make it a permanent part of the city. Walking the tour, you’ll see maps and ballots in boxes by the sculptures. You can vote for your favorite in the People’s Choice Award. 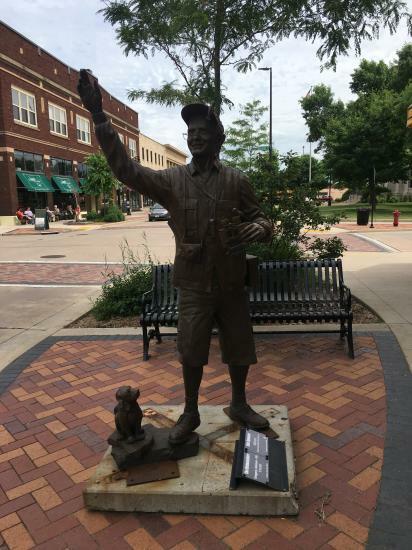 The sculpture with the most votes is gifted to the city of Eau Claire and relocated after the tour is over and relocated to a permanent location. Past winners have included Trojan Horse (located in Jeffers Road Park) and High 5 (located in Phoenix Park). So make sure to cast your ballot! 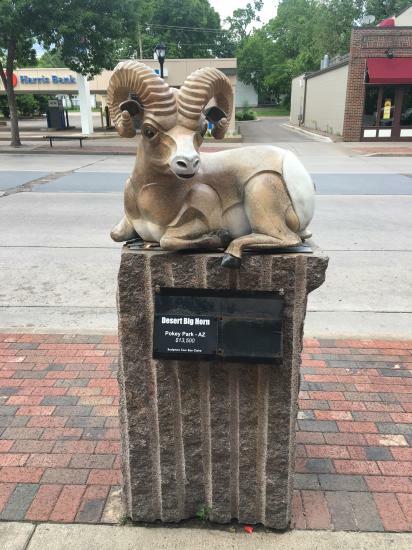 Located along S. Barstow, Water St. and Mayo Clinic Health System Campus, the Sculpture Tour is a great way to enjoy some fascinating art pieces while enjoying scenic views and beautiful summer weather. As you walk down S. Barstow St. you can enjoy the great views along the river at places like Phoenix Park. When you check out the sculptures by Mayo Clinic, stop over to beautiful Carson Park and enjoy the trails around Half Moon Lake. And as you head down Water St., enjoy the beauty of one of the state’s most beautiful campus: UW-Eau Claire. The view from the Water St. Bridge is something to behold. How many times have you been frustrated trying to find an activity that the whole family can enjoy? Another great thing about the Sculpture Tour is that it’s for all ages. Take your family/friends on a leisurely walk and enjoy the art. Chances are that along the way you’ll have some great conversations about the various pieces on display. This is a great activity that the whole family can get involved in. As a bonus, everyone gets some good exercise and the cost is free. 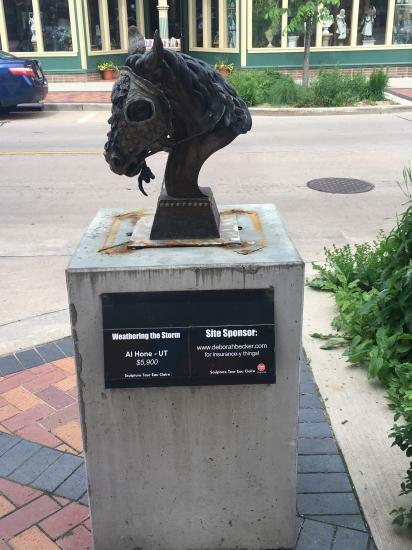 So to recap, the Sculpture Tour has been bringing great art to the city of Eau Claire since its inception in 2011. It allows people to enjoy art while being out and about and seeing all the great things the city has to offer. Each year the city gets new sculptures and keeps the one voters like the best, and you can enjoy it with the whole family. Whether you’re an art expert or a casual appreciator of art, the Sculpture Tour has something for you. It should not be missed.